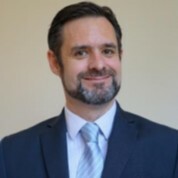 Dr Ben Rolfe is the CEO of Asia Pacific Leaders Malaria Alliance secretariat, formerly hosted by the Asian Development Bank and now independently incorporated in Singapore. Ben was the former Lead Senior Specialist for the Pacific at the Australian Department of Foreign Affairs and Trade (DFAT) and has more than twenty years’ experience in supporting health initiatives across 30 countries. Most recently at APLMA, he took a lead role in brokering the East Asia Summit agreement to eliminate malaria from Asia Pacific by 2030.